This is the first Viggen I worked on. 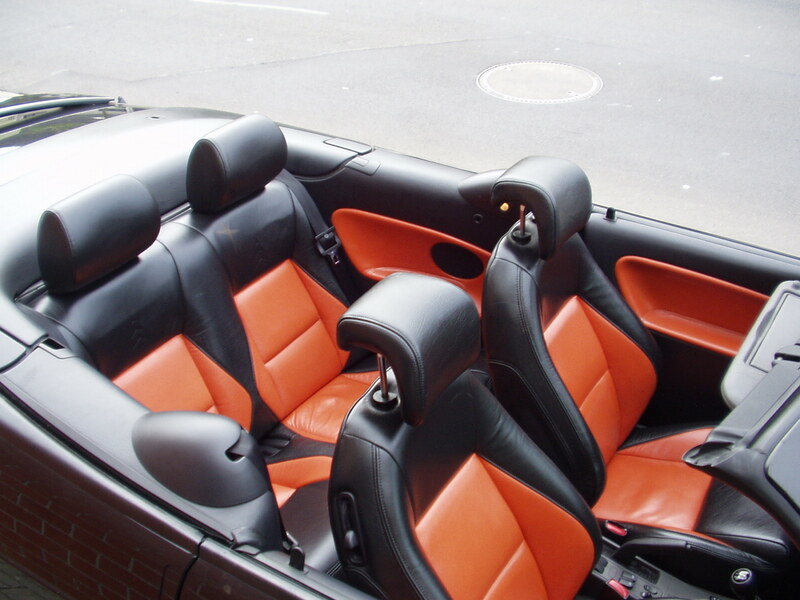 It´s a MY 99 Saab 9-3 Viggen Convertible in black with flame ochre interior. Being a Saab show car, it has not been registered for road use before 17th april 2000. First registered owner was Saab of Germany. I bought the car in december 2002. It had covered 52.000 km at that time. Being a MY99, it has 225 hp and 342 Nm of torque in stock condition, but it has been modified quite a lot (290 hp/ 440 Nm). Here is a dyno history of every tuning step I performed. 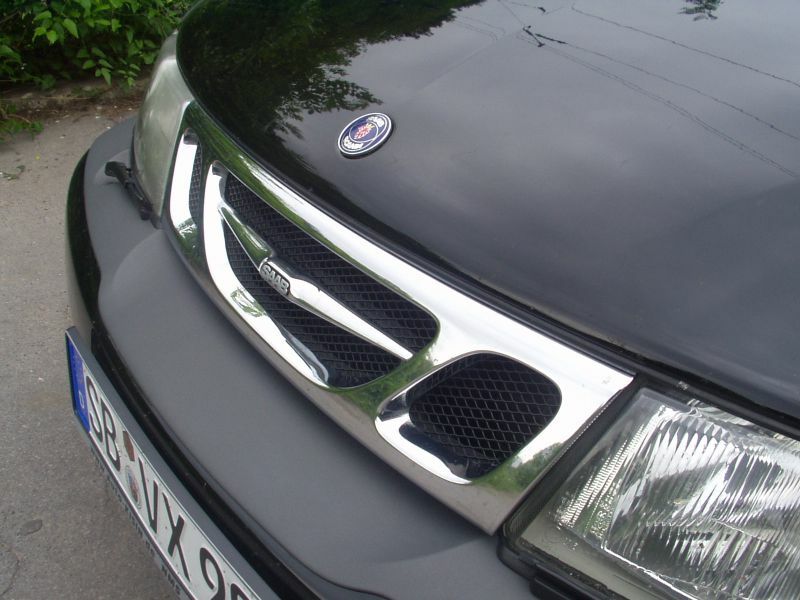 The front grille has been altered using mesh. 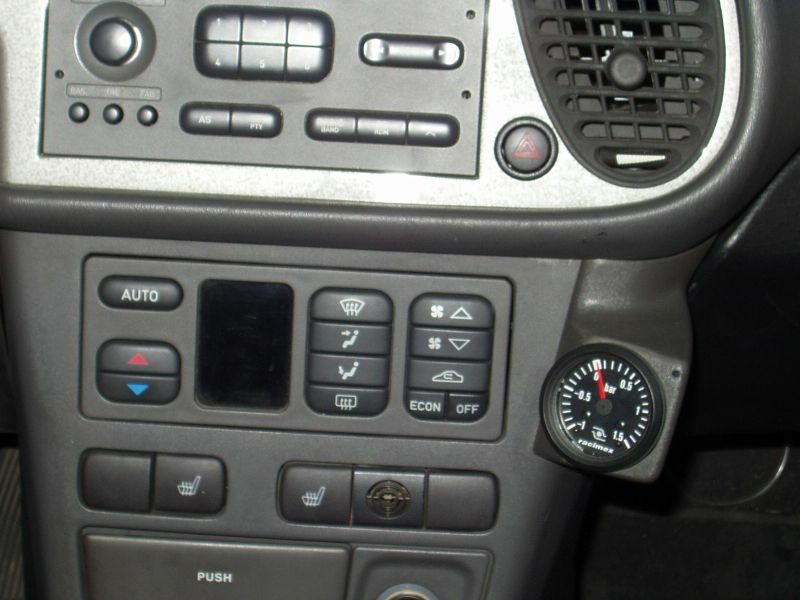 The Viggen dashboard has been replaced with a carbon fibre dashboard and the door handles have been covered in carbon. Those are the only purely esthetic modifications to the car. All other modifications serve the purpose of improving the car´s street and track performance. Stock springs have been replaced with H&R springs to lower the car. This really transformed the chassis, which is quite capable now even with the stock Sachs dampers (which are exclusive to the Viggen). KIC Steering Rack Brace Kit, ordered from Taliaferro (USA). Summer: 18" aluminium-magnesium wheels by Hirsch Performance, 225/40 R18 Yokohama AVS Sport (semi-race) tires (will be replaced by standard street tires as soon as worn out). Winter: 17" aluminium-magnesium wheels by Hirsch Performance, 215/45 R17 Pirelli W240 Snowsport tires. Track: 17" aluminium-magnesium wheels by Hirsch Performance, 225/45 R17 Yokohama Advan A032R DOT-legal competition tires. In may 2005, the original front brakes have been upgraded using 332x28mm Hirsch Performance brake discs, Porsche 996 GT3 4-piston aluminium-monobloc calipers made by Brembo and custom made steel caliper carriers made by Frank Grauer. After major problems with brake squeal and poor track performance, the Hirsch Performance brake discs have been replaced with 323x32mm Porsche 993 biturbo brake discs with custom made bells made by BSP and the calipers have been modified by BSP in july 2005. In september 2006, an all-new brake kit by BSP has been installed (323x32mm Porsche 993 biturbo brake discs with custom made bells, modified Porsche 996 GT3 4-piston aluminium-monobloc calipers made by Brembo and custom made aluminium caliper carriers) and the original 286x10mm rear brakes have been upgraded using 300x20 Saab 9-5 Aero MY2002-now brake discs, cross drilled Porsche-style by BSP, Saab 9-5 Aero rear calipers and custom made brake lines by Taliaferro. Look here if you want to know more about the Steering Rack Brace Kit. Look here if you want to know more about the Porsche brake installation. Look here if you want to know more about the rear brake upgrade. Stock spark plugs have been replaced with NGK BCR8ES. Stock air filter has been replaced with JR high flow air filter. In june 2003, the stock ECU has been upgraded with a Stage One ECU from Abbott Racing, UK. I also installed a calibrated Boost Gauge by Racimex to be able to monitor turbo boost. The pistons and rods have been fine-weighed, and the crank shaft has been fine-balanced. The original cylinder head has been gas flowed by Johann Heuschmid himself (intake and exhaust ports polished, valves polished, seats ground, valves ground in). 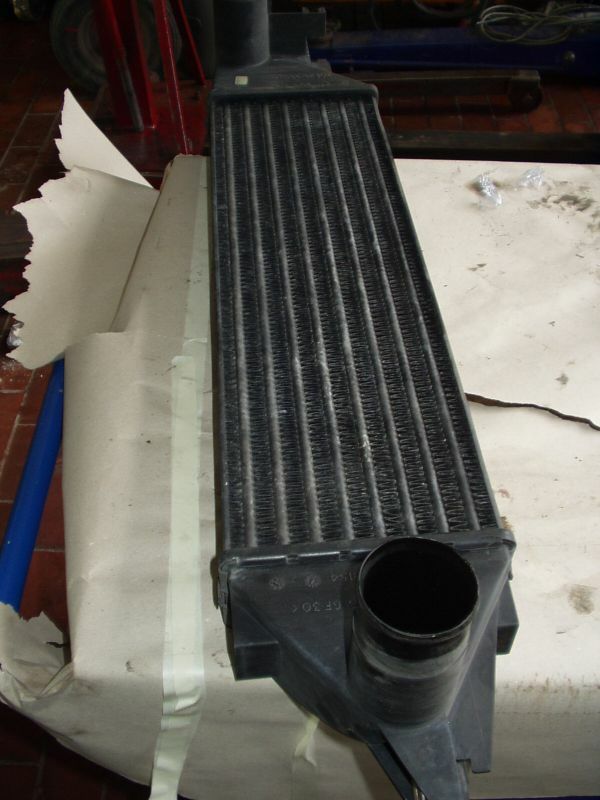 At the same time, the Viggen intercooler has been replaced with a big race intercooler, custom made by AM-Works in Finland. Also, a new Fichtel & Sachs Viggen clutch kit had to be installed. This clutch kit is supposed to be stronger than the Saab OE clutch kit for Viggen. Look here if you want to know more about the work performed on my car by Johann Heuschmid. The new engine was then broken in using stock software and not reved beyond 4.000 rpm for the first 5.000 km. 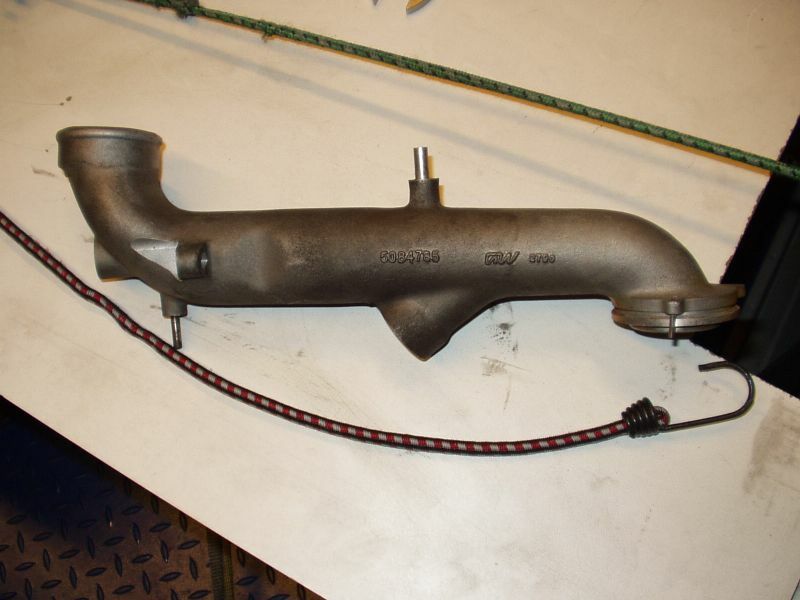 the MY99 intake pipe from airbox to turbo has been replaced with a MY2000-2005 Saab 9-5 Aero intake pipe (the big Hirsch Performance intake pipe, which was supposed to be installed did not fit). 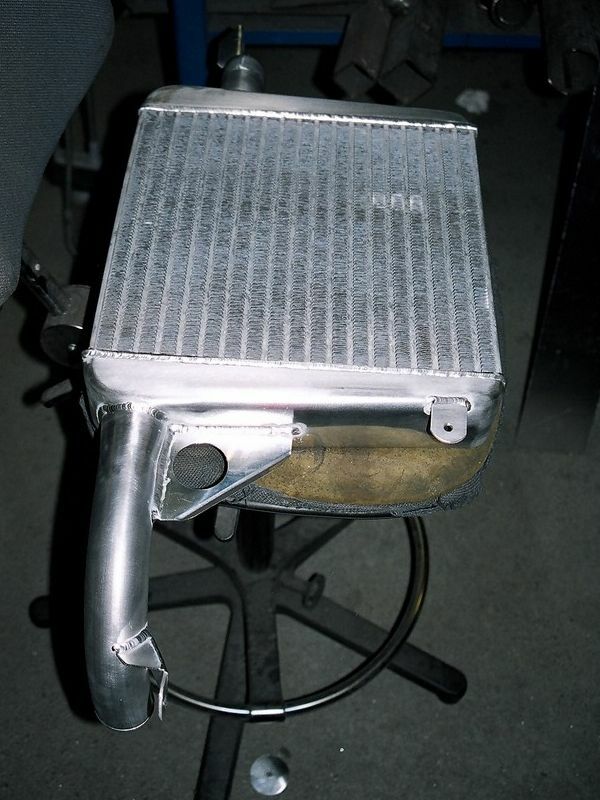 the ECU was custom tuned by Tommy Utengen and Renato Boldrini first on the dyno, then on the street. Look here if you want to know more about the work performed on my car by Hirsch Performance. In november 2004 (89.000 km), I installed a new Hirsch Performance 2.75" stainless steel cat back system. 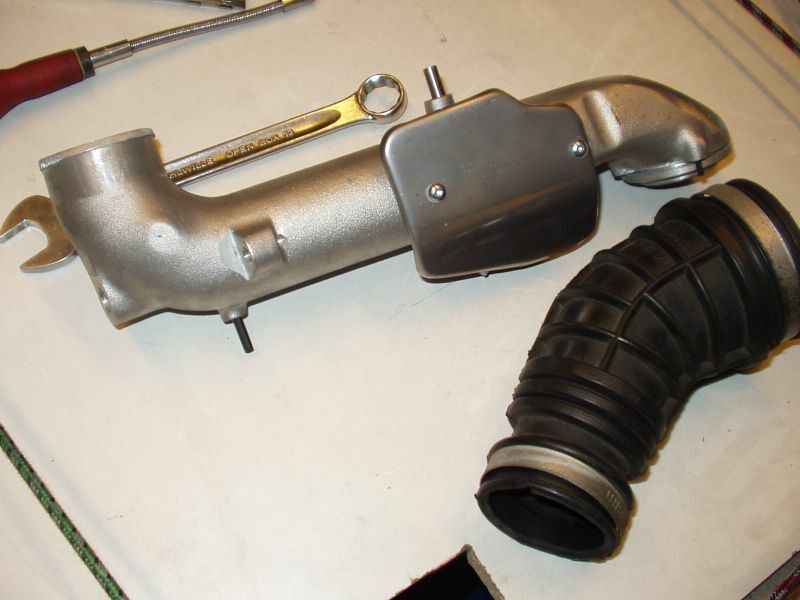 Look here if you want to know more about the exhaust modification. In october 2005 (110.000 km), the gearbox has been rebuild by Heuschmid, using original Viggen parts and a special upgrade kit designed for the Hirsch 9-5 Troll R gearbox to make it stronger, modified to fit the Viggen gearbox (which is different in many parts from both the 9-3 and the 9-5 gearbox). I sold this car in november 2006 after owning it for nearly 4 years. 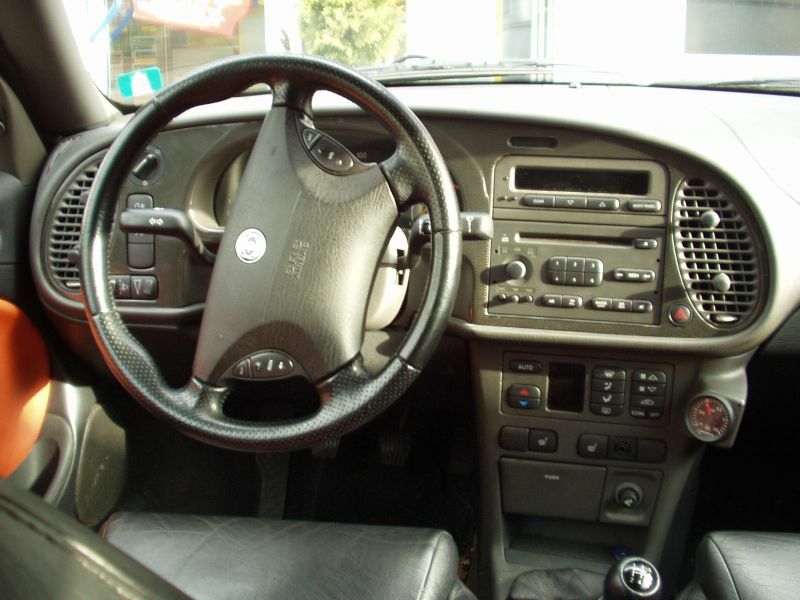 Here, you will find some pictures of this car.